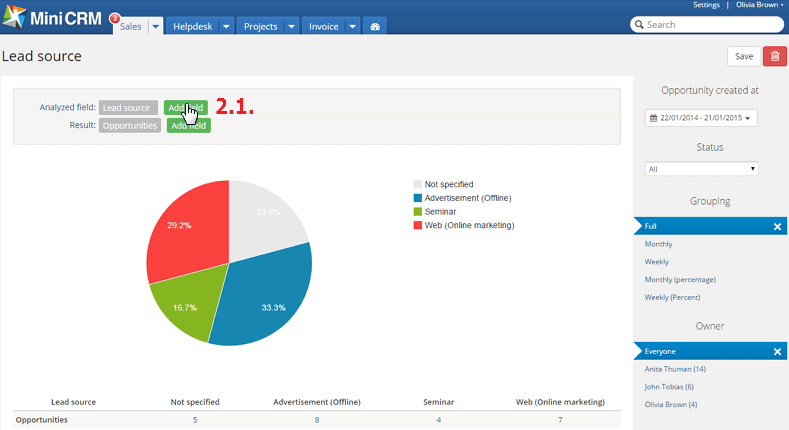 To display reports, click on Reports [1.1.] in a module. The analysis of fields is not displayed by default. 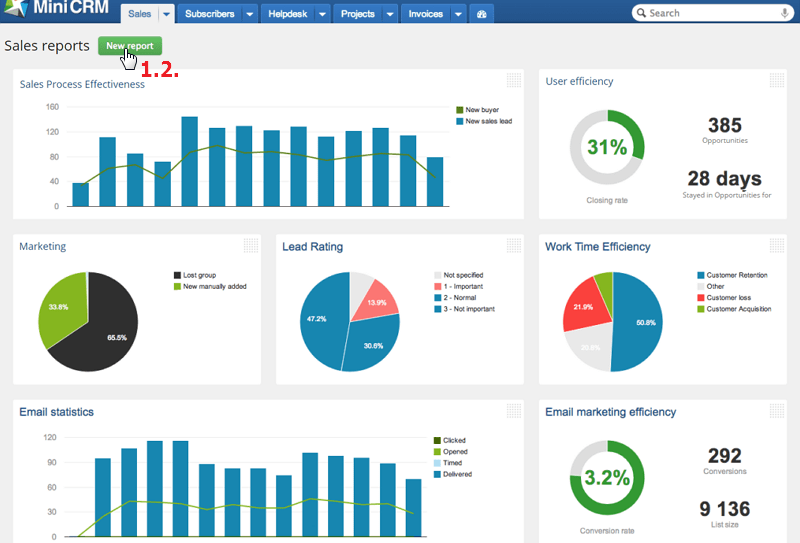 To see the analyzed fields, click on [New report] [1.2.]. If you click on the [Add field] button [2.1. 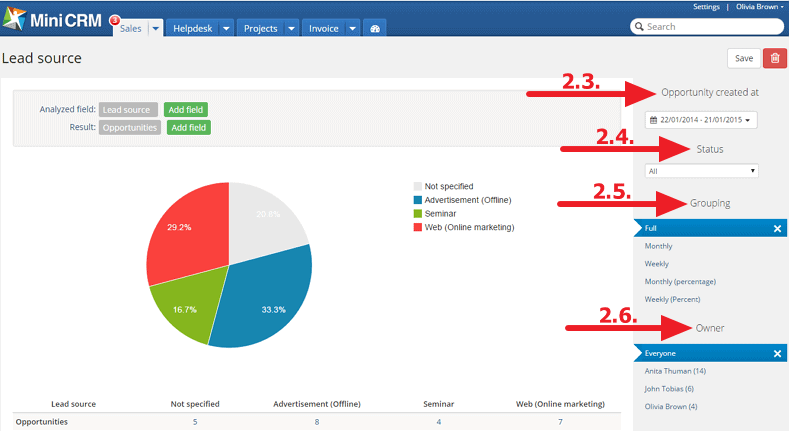 ], you can choose one from the dropdown lists that can be found in the system [2.2.]. Select a period that you want to examine. It is recommended to select a longer period. Select a status that you want to examine. Grouping depends on the period that you have selected previously. For example, if you are examining a one-year period, it is recommended to select Monthly grouping. But if you are examining a one-month period, it is recommended to select Weekly or Full grouping. Choose an Owner from the active ones or select the Everyone option. 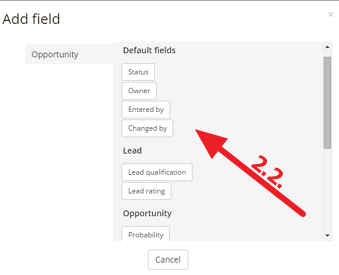 In the Sales module, add the Lead source field, select Last 365 Days and the Won status. If the results show that Google generates more clients than Exhibition, it is obvious that you should invest more in online advertisements.